disease Thalassemia major. We got to know about this disease when he was 4 months old. As you may be aware or may be not in this diseases monthly blood transfusion is needed. The only curative treatment is Bone marrow transplantation. 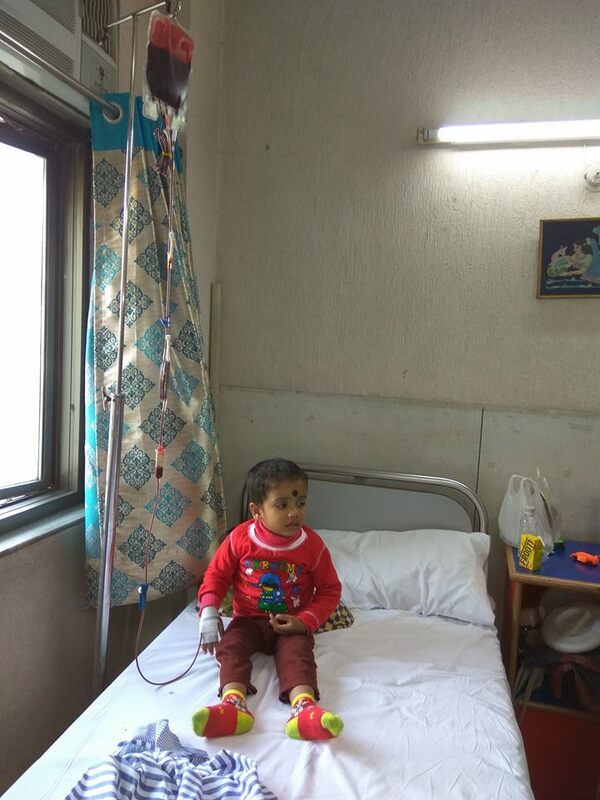 We are going for blood transfusion monthly but unfortunately iron level increases in his body many times of transfusion which is affected his organs likes kidney ,liver and heart. Now the doctors are saying only bone marrow transplant can save his life. The approximate cost for his treatment is 28 lakh. We belong to a middle class family and live in Delhi. We cannot afford 28 lakh and this phase is very difficult for a middle class family. So its a humble request to you all that if you have any kind hearted person who is ready to donate, please encourage them and I request everyone to save my child, as I do not want to loose him. Debrup's father Debashish earns merely 27 thousand per month in a private company. Most I have managed to arrange 4 lakh rupees by selling my Jewelry but I am still short of 23 lakhs to go ahead with the transplant. Your contribution will help me save my only kid and bring a ray of hope in my life. Your share could be as good as a donation for Debrup Mukherjee! Not everyone can afford to take care of their loved ones. Debrup Mukherjee's life can only be saved by donations made by kind people like you.